Valentine’s Day is quickly approaching. If you have not already bought something for that special someone, you are running out of time. That’s not to say that you have to spend money on gifts, but even a simple bouquet is a nice touch for a romantic date. Flowers are a great option for a last minute gift as the florist can help with choosing the right flower arrangement and they can even handle delivery. Unfortunately, many flower shops jack up their prices just before specific holidays such as Valentine’s Day and Mother’s Day. 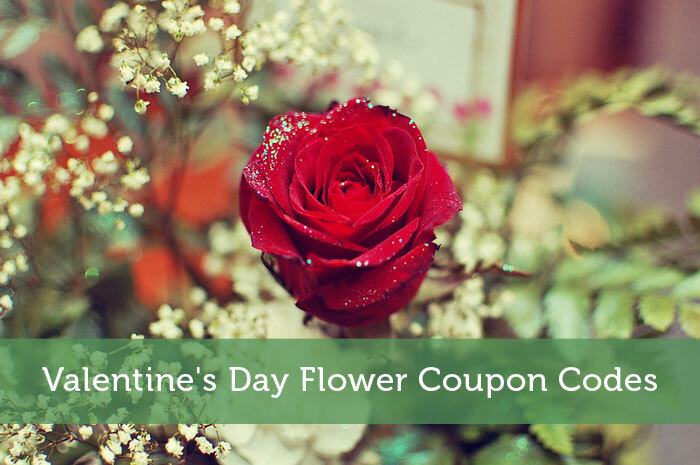 So here are some flower coupon codes to help save you some money. Just a heads up to the anti-ads crowd, the following links are affiliate links where I get commission if you make a purchase. You are free to instead search google for the florist name instead of going through these links. Simply enter one of these coupon codes on the respective website’s shopping cart or checkout page. Your order should instantly display the appropriate discount. Be aware some coupons do have expiry dates, but I will do what I can to periodically update these coupons and post new flower coupon codes. If any of these flower coupon codes are expired or nonfunctional, please let me know. Or feel free to share any other flower coupon codes in the comments below. Best of luck impressing your loved one. Just remember that holidays are not all about spending money. It is about spending time with each other and showing each other how you truly feel. Flowers will probably bring a smile to her face, but adding something romantic from the heart will keep that smile there. We have done stuff for Valentines in the past but this year we arn’t. We are headed on a big trip in a couple weeks and are using our money for it. Plus neither one of us like getting gifts out of obligation. It seems so unnatural. Yes only giving gifts or doing special things for each other on holidays is quite unnatural. Of course, we have been trained to think that we need that acknowledgement on holidays. If other couples want to go that route, just be sure both of you are on the same page. You might think the holidays aren’t important to you, but you may think again when your friends ask what the two of you did for that day. I like to have Valentine’s Day acknowledged, but that can be just as easily done with a card and a thoughtful message as a big dinner out. Last year my fiance sent me a bouquet of flowers to work, which I absolutely loved, but I know it’s tough on the wallet to do so every year. Yes it definitely can get expensive. With my ex, her birthday was right in the middle of Christmas and Valentine’s Day. So that 2 month period would be brutal on my bank account. I am actually looking forward to this Valentine’s day, and have a few things up my sleeve for the special lady, but I didn’t see Proflowers mentioned. I have been a repeat customer for a couple years with them. There are a good amount of discount codes out there for them. But I am a fan of gift giving. The way i see it any time to make a person feel special is a good occasion! I’m sure those surprises for your special lady will earn you some good brownie points. As for Proflowers I will have to look into them. The thing with online florists is that they usually just send the order to a local florist. So I would think it wouldn’t make a big difference which online retailer you use. You might as well go with whoever had the best price.